Making weekly pickups at local businesses for food donations, milk and eggs, fresh vegetables in the summer, fruit, etc. 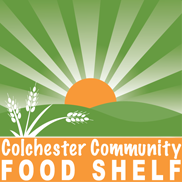 The Board of Directors is currently made up of 10 volunteers who have a passion for helping the Colchester community. All members of the Board of Directors are volunteers.